THE COMMON MURRE, a slender, northern-dwelling bird that resembles a miniature penguin, nests on cliffs and frigid island coasts. Its marble-patterned eggs are highly asymmetrical, almost conical, a structure that, according to a popular theory of egg shape, might have evolved as an adaptation to the bird’s rocky nesting terrain: conical eggs spin in a tight circle, making them less likely to roll off a cliff and shatter. Other hypotheses link egg shape to clutch size, or to diet—birds with limited access to calcium might lay spherical eggs, requiring the least surface area per unit of volume. A recent analysis of egg shape, published this week in Science, provides support for a less popular theory: that the evolution of adaptations for flight also drove variation in egg shape. Across hundreds of species, the strongest predictor of a bird species’ egg shape was not diet or habitat but how strong a flyer it is, according to the study led by Princeton biologist Mary Caswell Stoddard, JF ’16, and Lakshminarayanan “Maha” Mahadevan, England de Valpine professor of applied mathematics, of organismic and evolutionary biology, and of physics. Compact avian bodies pared down to accommodate long-distance flights, writes Cambridge zoologist Claire Spottiswoode in an accompanying commentary, may “need to negotiate their narrower pelvis, and because the only way to fit a chick into a narrower egg is to make the egg longer, elliptical or asymmetric eggs result.” The murre, with its wide migration ranges, fits the narrative neatly. The team then modeled how a shape emerges, treating the egg as an expanding, pressurized elastic shell. Variation in egg shapes grew out of differences in pressure applied along the egg’s surface, and differences in the membrane’s thickness. The more uniform the membrane’s thickness, the more spherical its shape. “We were able to manipulate just two basic parameters—variation in the properties of the membrane and variation in pressure across the membrane—to generate the whole diversity of egg shape,” Stoddard says. Senior author Mahadevan (who was recently appointed a faculty dean of Mather House) links egg shape to his broader interest in how biological form and function influence each other; he has previously used simple math models to understand folds in the brain, a drying paint drop, wrinkles in the skin, or ripples in a leaf. “Why an egg?” he asks. “People have wondered about egg shape for millennia, quite literally…It’s a relatively simple shape to model—it’s got an axis of symmetry and therefore can be described effectively by a planar curve. There are a very large number of shapes, and there’s a large range of biological [specimens] that actually exist.” The researchers relied on the digitized egg collection at the Museum of Vertebrate Zoology at the University of California, Berkeley, Stoddard says, the largest egg collection in North America, with more than 50,000 samples collected during the nineteenth and twentieth centuries. 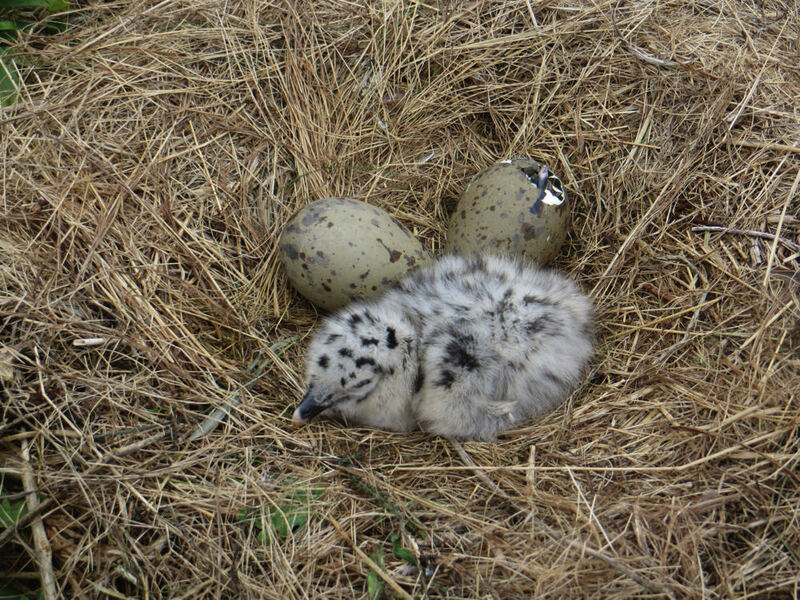 The final stage of the project, which looked at associations between egg shape and traits associated with different bird species, produced the most surprising result. The hand-wing index (HWI), a measure of wing shape that biologists use as a proxy for flight ability, had by far the strongest correlation with asymmetric and elliptical egg shapes. “The HWI is correlated with migration behavior and dispersal distance,” Stoddard explains. “Asymmetry and ellipticity would allow birds to pack more volume into an egg that has a fixed width”—to fit more egg into a narrow space streamlined for flying. Future studies might consider whether anatomical traits like pelvic width also correlate with HWI and egg shape. Or there might another factor entirely, still unaccounted for, that flight-adapted birds have in common.